My thanks to "Scott Morgan" for the details of these rear view mirrors, I saw them on his car and thought they looked good. 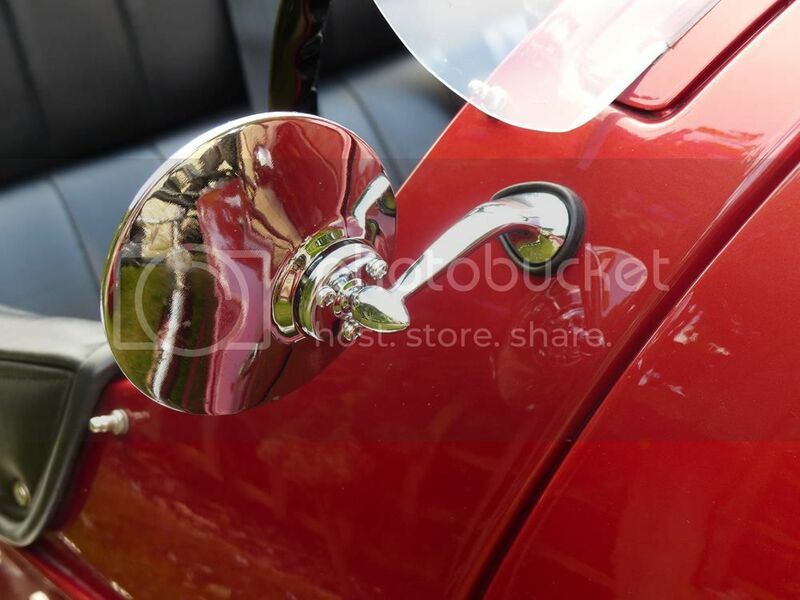 Listed on Ebay as Lucas style chrome round exterior wing /door classic car mirror. Item 321698142306 and are £25 for a pair. They are slightly convex and give a wide view, best of all you can see what is behind you as they are not a blur on the move, like the originals were. Simple replacement? Same "footprint" as the originals! 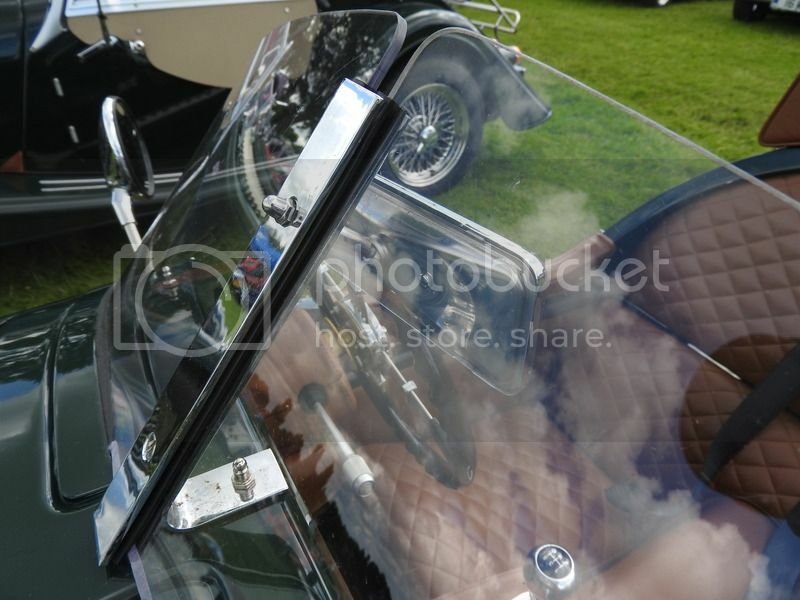 I saw this mirror at All Morgan Day and reckon that it's a neat solution when used in conjunction with the Fairbourne screen. 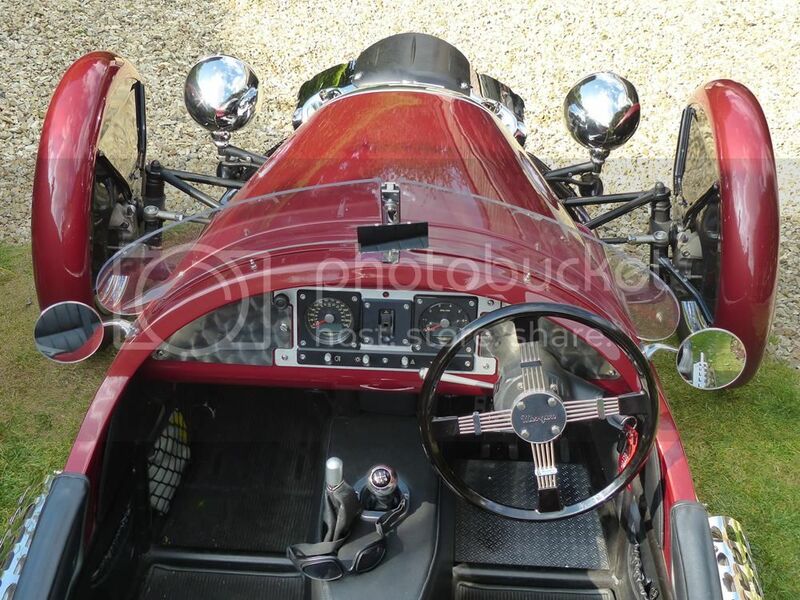 Anyone know what it's off or whether it's a 'special'? That's one very smart car!is it Scotts? I think it's Planenuts ? It is my car. It's also not me driving it in Bunnys photo. I like the mirror in Bunnys next photo, any information on it? What variant did you fit? 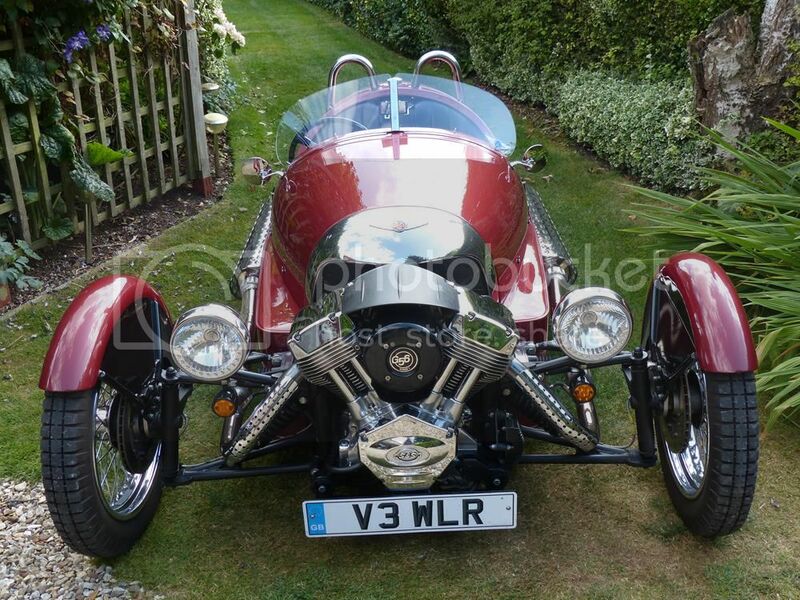 Vender says "This item does not fit Morgan 3-Wheeler 2015 -- [2014-2016] Convertible 2.0." I wouldn't read too much into that. They have left all Morgans out of compatability list. 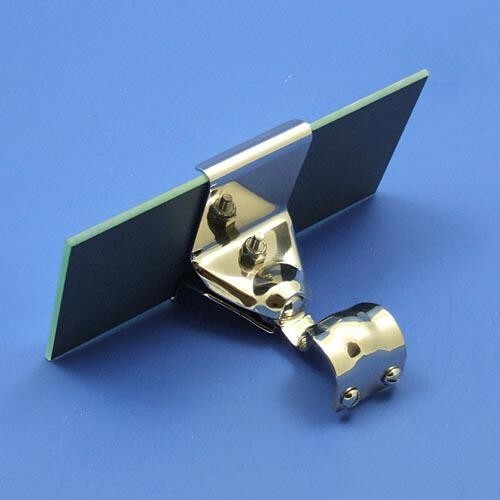 Actually the mirrors in the first pictures are the "Stainless and Chrome Round Wing or Door Mirror Pair M23", or Ebay #272156433556. Just so that noone orders the wrong bits. High quality and almost no vibrations, at least compared to the original ones. 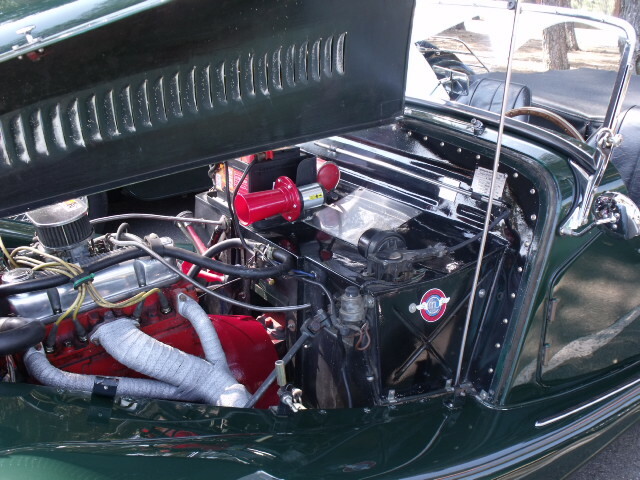 The left one is not convex which is a bother for LHD cars. Will see if I can switch the mirror heads over, or get another convex one. I interpreted the description as if they were both convex. They look great on the car, though! 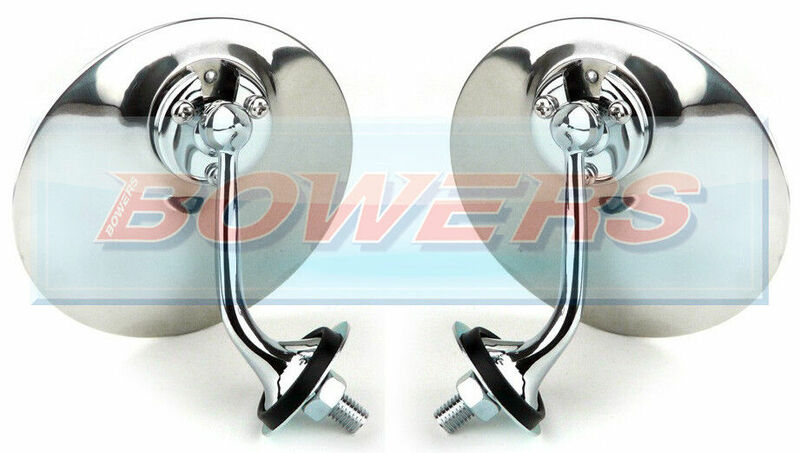 These ones on the eBay image link, and mentioned by planenut in the original post, are both convex. Just fitted a pair, the mounting stem is only M8 though but with a large spreader washer. The near/passenger side one is a great improvement over the original. The drivers one although equally vibration free doesn't give such a good view directly behind the car, given the much shorter stem. Might consider a central mirror as I have a Fairbourne screen. 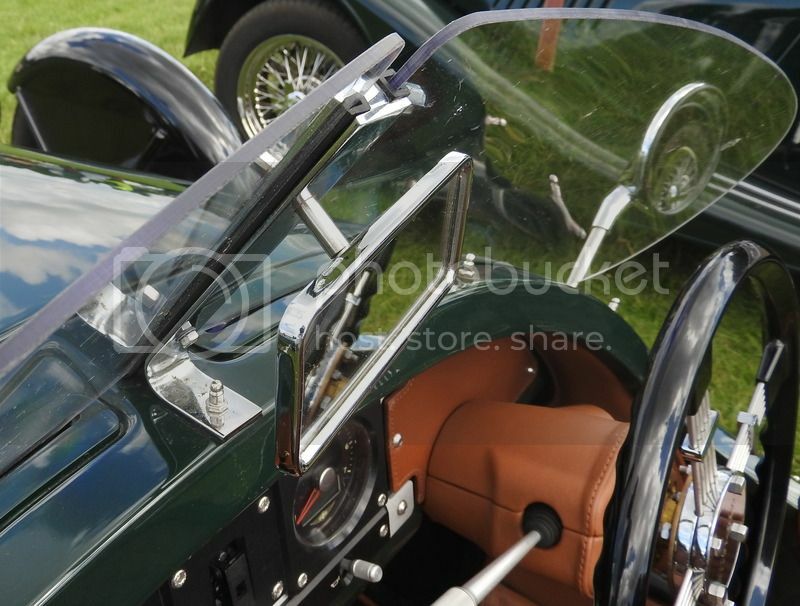 Thanks for rear view mirror suggestions Paul but the one pictured by Bunnyboy looks the better fitment, replacing the existing upper securing screw on the Fairbourne central pillar. Will search for source when I have time. Richard - agree - that one looks the best so far. 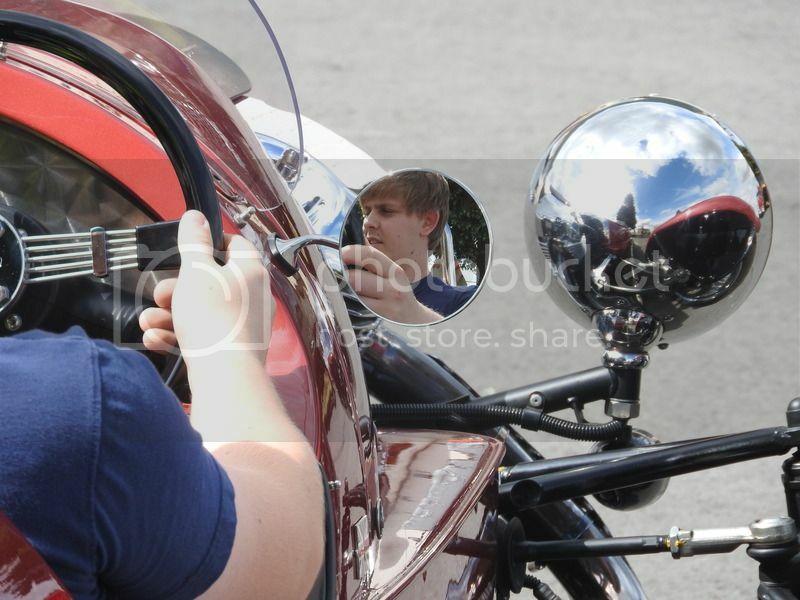 I fancy a circular small mirror so will keep looking (scooter mirrors look a likely source! ).